Thirdy Ravena’s shoe collection can line his room from floor to ceiling. He has his pick of the country’s newest kicks, the rarest sneakers, designer labels. But the most meaningful pair to the Ravena is a beat-up Kobe XI Fundamental pair, creased from a season of hard play, with the words “For Javi” written on the side. “It was the pair that reminded me every single game who i dedicated the season to,” he says. Javi loved film, and would shoot videos wherever he went. If he saw a place he wanted to travel to, he’d pack his bags. If you couldn’t go, he’d link you to the vlog. He used to weigh over 200 pounds, then one day, simply decided to hit the gym. He lost 60 pounds in less than a year. Javi’s favorite word was “synchronicity,” the idea that people and events are drawn together by threads we don’t see. On September 29, 2017, Javi passed away in an accident. Nobody saw it coming. Thirdy mourned Javi in the morgue that night, then had to play against the NU Bulldogs the very next day. Along with the words “For Javi” and his friend’s initials, Thirdy wrote the word “Magis,” the classic Atenean lesson that he learned through Javi’s example. Then, he wrote “4th,” to remind him to fight until the final buzzer. “Just by writing on the shoe, I would remember every game that this is for Javi. This is for him,” he shares. 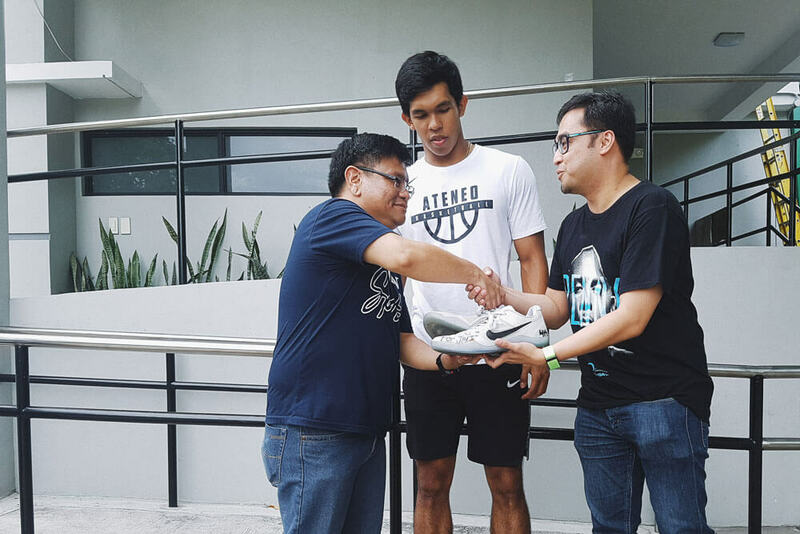 Thirdy wore the “For Javi” shoes all the way to the UAAP Season 80 Championship. After they won, he kept them in their box, a memento of what Javi inspired him to achieve. They would have stayed in that box until Ateneo assistant coach Sandy Arespacochaga had an idea. 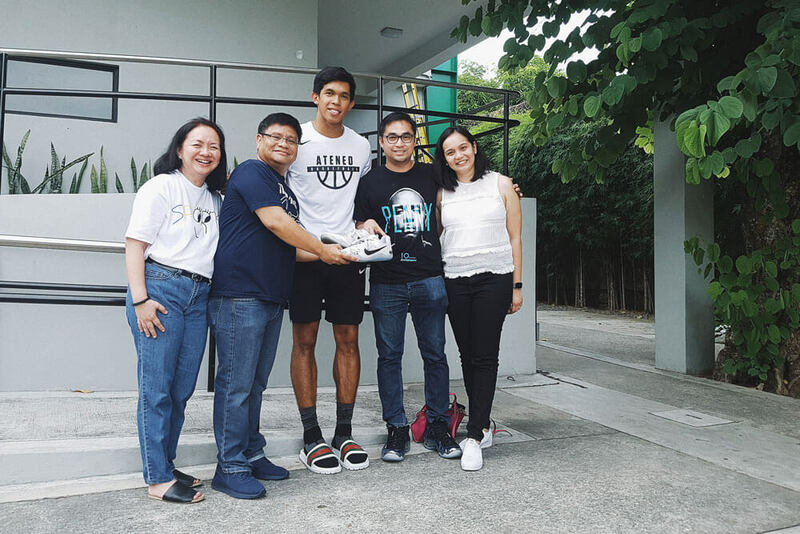 Thirdy could donate the shoes to the online fundraising auction organized by Coach Sandy’s Ateneo High School batch, where the proceeds would benefit financial aid scholarships for young student-athletes. When the auction began, a bidding war ensued. As less serious bidders fell away one by one, the competition was between two men: JP Pangilinan and Toto Villareal. They bid aggressively and looked ready go until the last seconds of the auctions. JP certainly knew what he was doing—he has already won a previous auction for a signed jersey of Fonzo Gotladera. What people didn’t know was that Javi’s last name was Villareal. Toto was his dad. Thirdy, meanwhile, had no idea that Javi’s parents had gotten involved. The Blue Eagles were on an out-of-town teambuilding where phones and social media weren’t allowed. The auction would end at 9:30 PM. JP posted his last bid just as the clock ran out. Toto’s clock was a little early; he didn’t realize JP’s last bid counted. He shot a message asking for an appeal. Coach Sandy read it and hesitated. JP won fair and square. Was this too much to ask? But then he put himself in the shoes of the father missing his son. It was worth a shot. On June 2, they all came together outside the clubhouse of a subdivision in Greenhills where the Blue Eagles had just played a game. Toto and Terry Villareal told stories about their son to JP and his wife Lady. How noisy Thirdy and Javi would hitch a ride to get home from school. The time Javi had a party at home and Thirdy’s parking blocked the whole street. How Javi had been shooting more and more videos that month before he passed. When Terry’s voice began to waver, Thirdy reached out and hugged her. 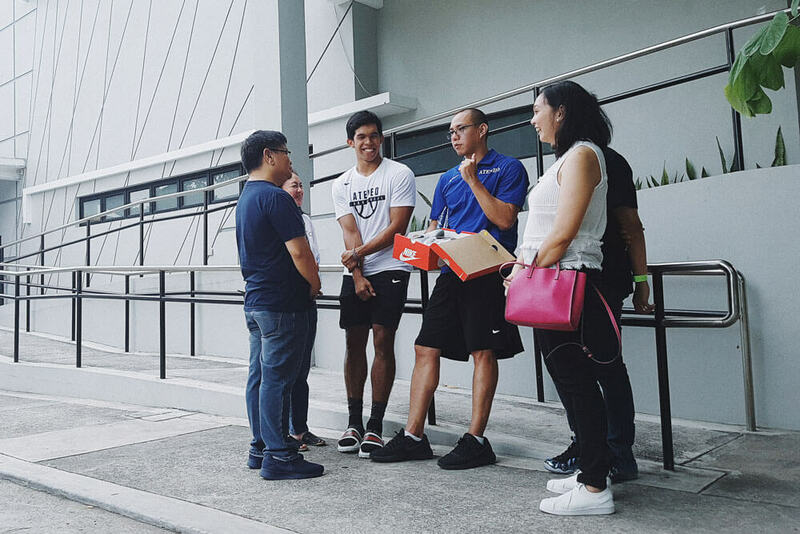 Finally, after a round of thank-yous—to Terry and Toto for sharing, to JP and Lady for giving way to Javi’s parents, to Thirdy for donating the shoes in the first place—Thirdy took the shoes out of the box, passed them to JP, who then handed the pair to Javi’s smiling parents. The Villareal family has decorated a corner of their house with photos and other mementos of Javi. 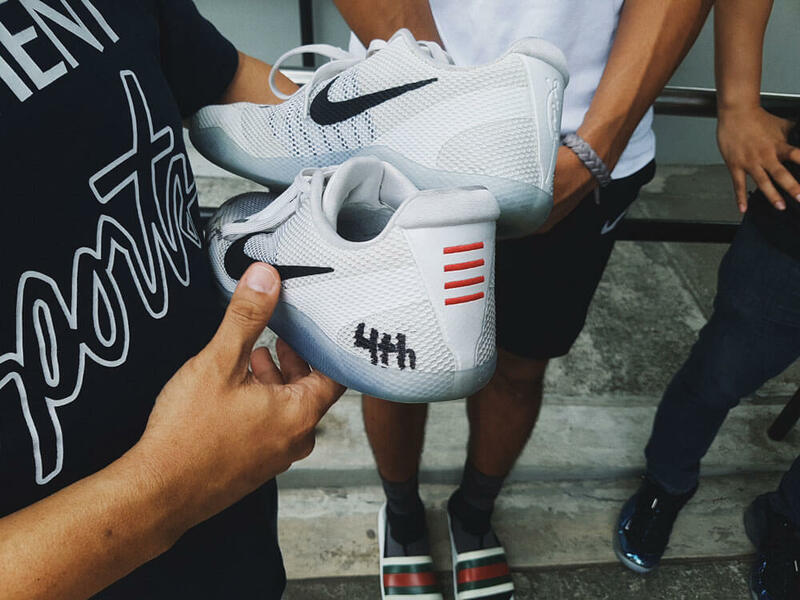 The “For Javi” shoes will take their place at home, and on top of the money raised at the auction, the Villareal family will make an additional donation to the Ateneo High School Sports Scholarships to honor Javi.